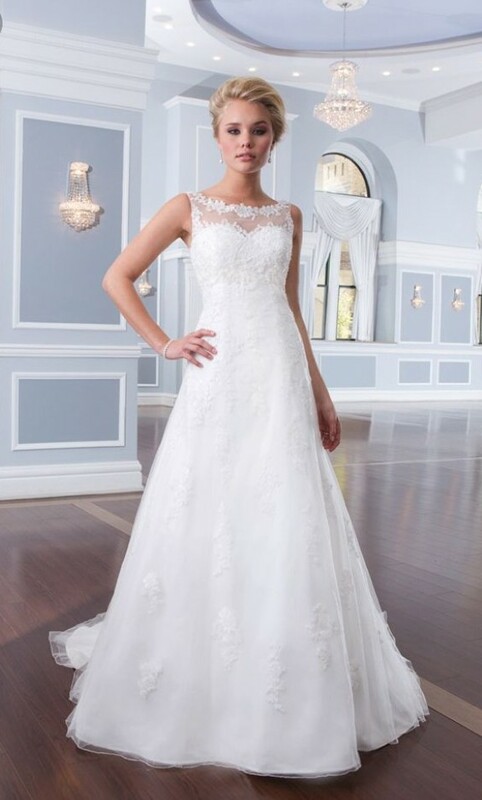 Tulle and beaded lace A line gown has an illusion neckline and chapel length train. Belt I wore on the day was my 'something borrowed' so is not included in the sale. I loved my dress and would love to see someone else enjoy wearing it for their own special day.